Ruth Watson and Maria Mclennan won first prize for best research poster at the annual British Association for Human Identification (BAHID) conference held in Manchester on the 9th and 10th of April. The poster described research undertaken on a Forensic Jewellery Classification System for use with the Interpol ‘C3’ disaster victim identification forms. Maria and Ruth have been working with Professor Sue Black and Dr Jan Bikker from the University of Dundee’s Centre for Anatomy and Human Identification (CAHID) and Dr Sandra Wilson, Hazel White and Linsey McIntosh from the University’s Duncan of Jordanstone College of Art. 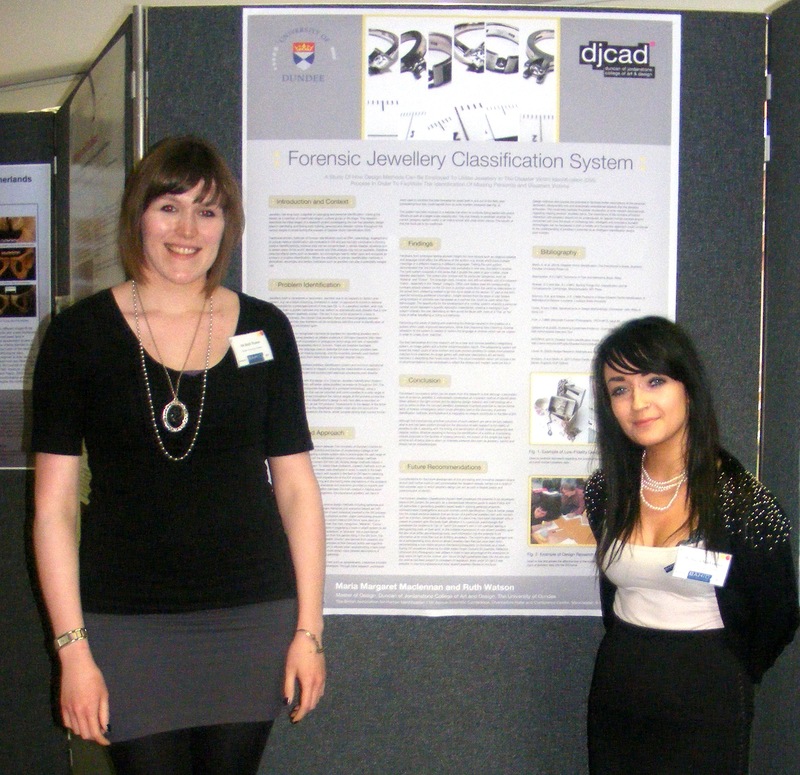 You can view the poster here Forensic Jewellery Poster.